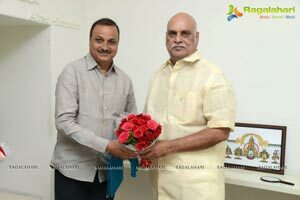 We all are aware that senior Director Sri K Raghavendra Rao sworn in as TTD Trust Board member in Srivari temple on Wednesday. 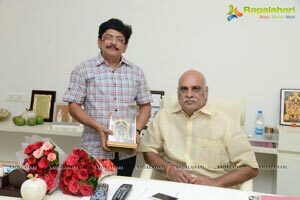 On this occasion, Producer Dasari Kiran Kumar felicitated him on Thursday morning in Hyderabad. Senior Cameraman S Gopal Reddy, ‘Mogali Rekulu’ fame RK Naidu, Writer Vissu and Bucchireddy are the attendees of the occasion.